I am officially on maternity leave from blogging for a while, so although I’m still very present via social media (and I’ve got a giant queue of posts built up, for the next three weeks) please enjoy linking up with my amazing co-host Jacqueline, and our fabulous guest hosts you can see below 🙂 I’ve included a few of my favorite ‘work week chic’ looks from the past year or so! Which one is your favorite?! SPOTLIGHT: Kate of A Journey in Style is our spotlight this week. 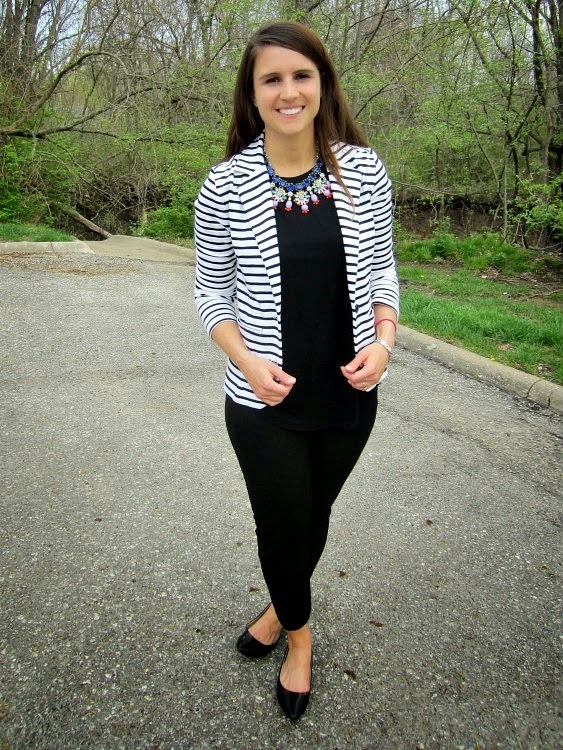 Be sure to check out her fabulous outfit from last week’s link-up! NEXT WEEK: Next week we are styling your favorite looks featuring your favorte denim! Thanks so much for linking up each week! xo. You have always shared many beautiful, colorful and sophisticated work looks, Elle. Love your shoes and pencil skirts – great collection of both. Have a great weekend and healthy delivery! <3 Ada. I love outfits #1 and #2! I'm so excited for you to have your baby, I'm sure you're going to be an awesome Mom! Have a great maternity leave and I wish you a happy and healthy delivery! I adore the color combos in outfit #2–eggplant and green looks great together. Good luck! not long now until you see your baby 🙂 so exciting! I'm a fan of pencil skirts so these looks a slam dunk! I especially love the one with the floral pattern, so cute! Loving all the pencil skirts – great looks! thank you for hosting!